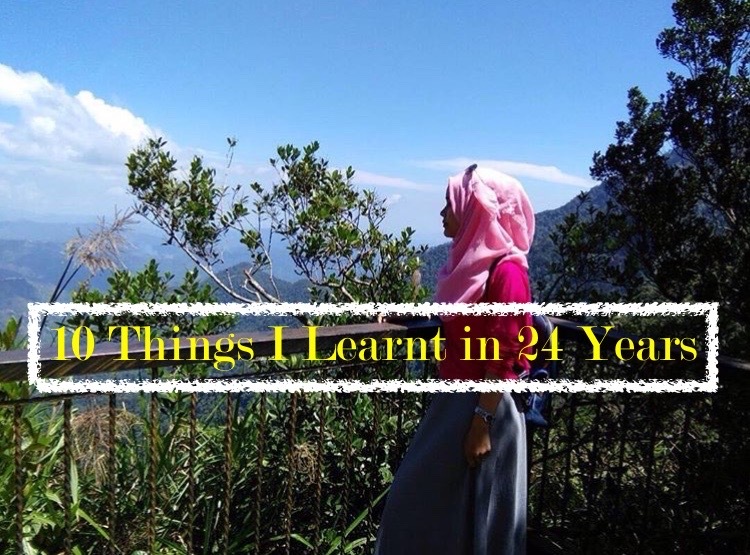 10 Things I've Learnt in my 24 years. I am going to be honest here., until this second, I still think that I am 23 years old. Which in fact, I am now 24 years old and 7 months. At first, I really wanted to list all the 24 things I've learned in my 24 years, but, it's not going to be substantial, really. So, I cut it down to 10 things which I'm pretty sure is important for general read or for those who still looking up for something. It's not because today is my birthday, but, it is because something happened and make me such a grateful person for who I am today. So, out of so many things I've learned, these are the top 10. 1) Do not waste time to get people's approval. This sometime manages to drive me crazy. Stop pleasing people who obviously shows no way to like you or to open their heart for you or to close their ears for you. In fact, I am not a 100% a people pleaser, and you may know it. Simply because, I can say NO for the things that I do not wish to. But, it left me with a mountain of guilt, in which I DO NOT LIKE. So, I could reverse my decision to give a time to fulfill their needs. In hindsight, I do not know why I had such a hard time on this. Trust me, the more you try harder to get the approval from someone who do not wish you to be in their dictionary, the more you get hurt. Slow pace, if they want you, they will come. 2) Things you saw, it's not 100% real. But, indeed, I have two stands on this. Here is my number 1. Some people try to look good in front of someone's eyes. Some people faking up them profiles just to make sure they look good on the media - Things are not always as they seem. You may see influencers wearing good and luxury branded items, but you never know if it is fake or legit. They are the only one who knows (or maybe brandedbuster?) of how original things they are having or they are doing. We never know that. Don't always believe what you saw. Good things sometimes not happen in the media. My second take is here. In reality, there are a few of the people who shows good tolerance towards your behavior, but behind, they setting a knife to kill you at the back. And there a some obviously a devil person, but at the end is your life savior. This is not always true, but just beware of the people you met. 3) Money is not important yet so important. I get to learn one golden thing in life. That, earning money is hard, really hard. The harder you work, the more coins you earned. But, at the end of the day, I do not wish for money, I just want sufficient dollars to fulfill my needs and to breathe. The process needed your soul to experience almost zero life. 99% acquaint success with money, but this is far from the truth. Instead, it teaches you to be greedy. Money is important, but it is not the be all - end all. I have encountered a lot of people who have a lot of money, more than I'll ever have but still incredibly unhappy - and those who are not in as a good of a financial position, but rich of love and warmth. So, which group of people is more well- off really? I worked, I sacrificed my social time, but all I want is freedom and to breathe. You like it or not, we are the slave of this notes - in today's world. 4) Tomorrow will be another day. Just face today. Whether it is bad or not. Learn to face your problems and many will disappear. Enough running and handle any uncomfortable situation that comes up in your life. Never bury your head in the sand, instead greet them with positive mindset and you will realize that the huge problem is just your imagination that beating you up mentally. All the problems are just your imagination and only your step could make you free from the hassle. Often I faced a problem, I just had to tell myself, night will come and tomorrow will be another day, people will forget as the time pass by. Just face it and do the best, the best as we can deliver. Life is always offering you a second chance and it's called tomorrow. 5) Lesser Circle, Lesser Problem. Yes. Here is your honesty box. Lesser friends will create lesser problem. I don't have to elaborate this. & I admit this true. 6) That job you don't really want, will teach you about who you are and what you want in your life. I have my permanent job as you may know and I may say, this job.. has taught me about myself really well. It is such a great platform to start my first experience, and to collect as much knowledge as I wanted. Having to deal with people all around the place manages to increase the excitement inside myself, and how I love my current job. As a job hunter (just before the convocation), I may have none any expectation towards my first job, and praise to God, I secured the best one. 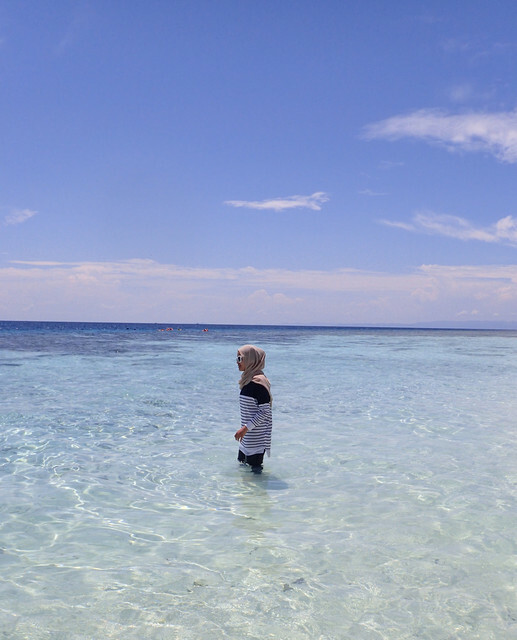 Although, I do not know until when my rizqi to be here, but certainly, I learnt a lot. Like really a lot - All I want was to be in a hospital, but my family natures are into business and He set a plan for me, to let me taste how powerful the business field is, and I totally love it. Will I say YES to the hospital? YES- because I have great plans ahead. 7) If you want to change, you have to prepare to do something different & Consistency is the Key. Living in a comfortable pace, will never offer you an opportunity. You are the one who should start a step to let you be noticed, you are the one who should open a market for yourself. A little investment is important to earn a dollar to million dollars and a million opportunities. This is the greatest lesson I learned from Mammiapappia, that I need to change from the comfortable pace to a little investment. Little investment won't make you live like a pauper, but turn you into princess, who knows? 8) "Work harder, but never compete with others" - this quote is real & Consistency is the Key. Yes. I repeated the word consistency. I stressed it, to show how important it is. When I attended any motivational training,often.. I heard about this kind of wording. Do not compare yourself with others. But, we did compare and we did not work hard to get what we want. Yet, we complain why this thing happened. Teach yourself how to compete only to yourself, not others. So, this is what I do. As long as I see improvement in myself, I'm happy. But, it is hard to deny, back to the old days, there are a few times, when I hate competition, just because I don't want to fail, or to lose. At the end of the day, it will make you suffer. Being said that, I am an A personality type , in which it means, I can't take when someone pass my level. That's when I was a kid. Growing up,I get to learn that, we are special in our own ways. If you compete with others, you are just becoming like her/his. You are not channelling yourself to be an outstanding person, but to bury your potential. Stop looking at others achievement. Just focus on your self-potential, great things will happen then, trust me. 9) Mental Health is Everything. 10) The BEST motivator is YOU and your family. That you have the power to control your happiness. That you have the choice to leave the unhappiness. Happiness is the state of mind. Whenever, something bad is happening, the only things that push me, is myself. Even you tell the counselor to brainwash me, if my mind says No, it will be NO. What I've done and gone through and I will never let it spoil, will never let if fail. If people want to let me down, or I get rejected, Allah has created a countless human beings and I can always mingle with them to create ideas and for self-improvement. Lastly, the most important of them all, family is the ONLY THING in this world that has your back up and their endless support is what makes me become consistent doing what I love. Till then, thanks for reading, hope you get something!